Sometimes it’s difficult to write a post, like in the case of this one, which has been sitting in my drafts for a while now and its usually because I’m ambivalent about the product. In the case of the Caudalie Gentle Cleansing Milk well, I don’t dislike it by any stretch, I just find it’s rather an unremarkable product in my eyes. I picked this little tube up on a whim while I was in France. 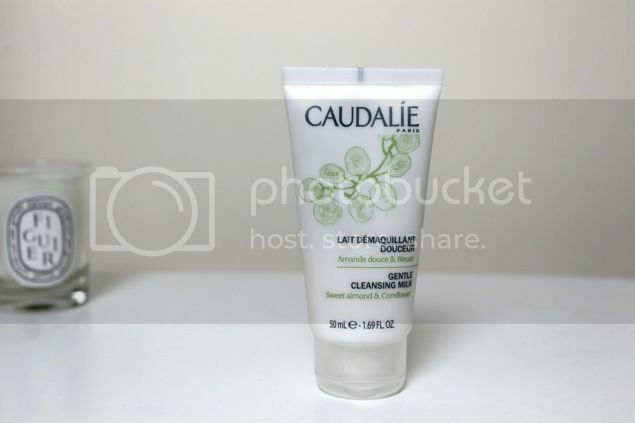 I was eager to try out more from Caudalie’s range and this cleansing milk with sweet almond and cornflower sounded promising. It has a very light creamy texture- almost gel like- which melts into a milk upon contact with water, which I found lovely. I don’t really care much for the smell to be honest, in fact it does remind me slightly of sour milk. In terms of cleansing it does a good job leaving the skin cleansed without feeling dry or stripped. I am a little disappointed however, mainly because I usually like everything Caudalie has to offer but this let me down as it didn’t wow me in the same way others did. it’s not to say it’s not a decent product but I won’t be repurchasing as I have other cleansers that I prefer.